Abuse Deterrent Opioids - Are They The Solution? I have a significant interest in opioids, specifically opioid use disorders or addiction to opioids. We have seen an opioid epidemic in this country largely due to a naïve approach to chronic pain and exposing people unnecessarily to the risk of addiction. At one level this is a failure of regulators who adopted the idea that chronic noncancer pain is best treated on a mass basis with opioids. At another level it is a failure of American culture. Americans are focused on abusable medications and they always have been. This is not a recent phenomenon. The reason that addictive drugs are regulated in the first place is that they were widely abused when they could be purchased over the counter from any pharmacy. Advocates of legalizing drugs almost universally ignore that fact. It is common to find people hoarding opioid prescriptions, giving them to their neighbors, and taking them for indications other than pain like insomnia, depression, or anxiety. At the cultural level, opioids are generally regarded as magical pills that will cure whatever ails you. But there is no such pill. Physicians are not blameless in this process. Around the turn of the 19th century, some physicians were maintaining large numbers of people in addiction as part of their medical practice. At the turn of the 20th century, some physicians advocated “pain as the fifth vital sign” and the widespread practice of recording a patient’s pain rating in routine clinic visits with their vital signs. In some cases this rating was mischaracterized as an “objective” measure like the other vital signs. Any physician who is told that the pain rating is a “14” on a scale of 1-10, knows that little objectivity is involved. The opioid epidemic is often viewed as a problem in physician education or a cognitive deficiency. I doubt that is the problem. Every physician knows the basics about prescribing opioids by the time they leave medical school. I can recall working in a clinic of chronic pain patients while I was a medical student in the 1980s. In that clinic we prescribed hundreds of opioid prescriptions per month. I also recall that none of those patients was ever asked about addiction or why they still wanted to take the medications even though their pain never seemed to improve. That seems like a straightforward definition. In practice it is more complicated. The best example I can think of to illustrate that is the FDA approval of the sustained release, high-dose hydrocodone product Norco. The FDA’s own scientific committee overwhelmingly recommended against approving this product in the midst of an opioid epidemic. They were overruled and the product was approved based solely on the manufacturer meeting regulatory requirements. Despite concern about getting medications to market fast enough it seems like there are few obstacle to opioid preparations that are basically old medications repacked in a new form. The financial considerations in this field are significant. Several years ago speculation was that any successful abuse-deterrent opioid formulation would be a billion dollar a year drug for that manufacturer. That is highlighted by the number of recent approvals for these drugs noted in the table below. The current market for abuse-deterrent opioids is estimated to be about $7 billion. The global pain market is estimated to be worth about $50 billion growing at a rate of 10% annually. From the table above it is apparent that this is basically a patent extension market. All of the main ingredients in these medications are generic opioids that are very inexpensive on their own. By putting them in a special formulation or combining them with opioid antagonists (naltrexone or naloxone) the manufacturers claim they are producing a medication that is less likely to be abused. Whether or not that ultimately happens is anybody’s guess. I tried to pull up one of the more notable prodrug use web sites and have not seen those compounds and so far no suggestion on how to defeat the abuse deterrence. There are historical precedents. Abusable drugs generally follow a predictable course of oral use to smoking or insufflation (snorting) to intravenous use. Breaking up that chain of events is one strategy that may lead to less severe drug use, but the fact remains that the original oral formulation is still a potent medication that can lead to addiction. The original case in point was the reformulation of Oxycontin in 2013. The original capsule could be breached and the contents snorted, smoked, or injected. The reformulation put the oxycodone in a hydrogel making it less available for snorting, smoking or injecting. The detailed package insert still says that this formulation and the original formulation place the user at risk for addiction. 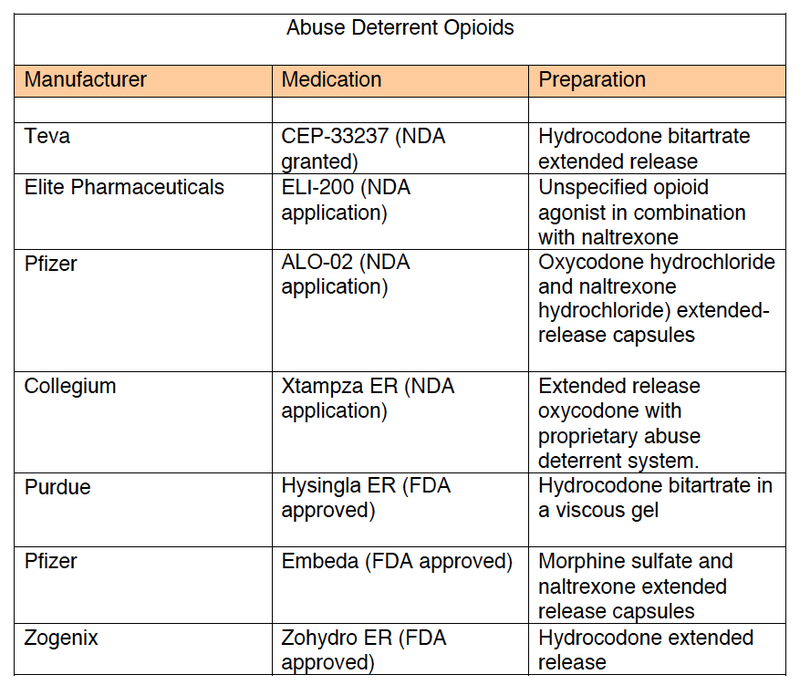 What can be learned about the proliferation of abuse deterrent formulations? There is a strong incentive both in terms of market size and low production costs. All of the medications in the table are very inexpensive generics that are reformulated with an inexpensive antagonist or a different pill matrix. The main safeguard is the FDA in terms of the total number of these medications on the market. The FDA has the potential to decrease the incidence of opioid use disorders. There is no evidence that is their strategy because they are approving medications over the objections of their own Scientific Committee. In some cases they discuss post marketing surveillance as being a measure of whether the abuse deterrent medication is working. Neither of those strategies would seem to be very likely to me. It is well known that reports of signifiant medication related events are probably very low relative to the actual incidence of these events. I have previously advocated for a pharmacosurveillance/data-mining solution that would produce results before the expected complications of opioid dependence and unintentional overdoses. The FDA’s current approach seems to be that further education of physicians will solve the problem. This is not a problem of physician education. As the formulations of opioids continue to propagate, there needs to be an awareness that the FDA is not attempting to contain the number of new opioid products released and that a preventive approach is necessary and is more likely to save lives than waiting for people to report complications or waiting for the Drug Enforcement Agency to make arrests. It is also time to consider what can be done at the level of American culture and focusing on some basic misperceptions that result in the overvaluation of opioids. The idea that opioids can alleviate chronic pain, that they are the best treatment for chronic pain and that everyone can take them safely are primary among them. There also needs to be a better understanding of opioid use disorders. Recent stories in the popular press make it seem like addictions are easy problems to get over. Just make a decision to stop and most people are able to. Tell the old story about returning Vietnam vets and how easy it was for most of them to stop using heroin. These are not the people who are seen in acute care settings or who are treated for drug overdoses. Many of those people will say that they knew they were using a lot of the drug, that they were not thinking about suicide but they did not care if they lived or died because: "All I wanted to do was get high." That is a powerful incentive for defeating abuse deterrent pills. Supplementary 1: What is an New Drug Application (NDA)? This is the formal application to the FDA where the sponsor (usually a pharmaceutical company) proposes that a new drug be approved for sale and marketing in the United States. For detailed information from the FDA web site follow this link. I was inspired to see Birdman from my Facebook feed after seeing this descriptor: "Birdman WTF?" Up until that point it was just another heavily hyped Hollywood movie. The hype in this case was the usual promotional stuff combined with the tension of whether or not Micheal Keaton would be selected as best actor in a leading role. I had seen most of his previous stuff and there were glimmers of my idea of greatness as an actor but always a lot of personality. My choices were to see it at a theatre or try to stream it. The only available streaming option was a place I had never used before that required the purchase of their coded streaming device and payment on their Internet site. After taking care of the technical details, I was ready to roll with little time to spare. I would see the final scene about an hour before the best picture was announced on the Academy Awards on Sunday night. The full title of the film is Birdman or The Unexpected Virtue of Ignorance. Spoiler alert at this point. Although it is difficult to give away the ending because it is largely interpretive, I am going to discuss all of the key details that will clearly alienate and anger a few. So don't read this if you have to see a pristine and not previously described film. I don't see any way around it. The opening scene sets the tone for the film and the tone taps into what are typically considered the negative emotions - anxiety, anger, depression, and disgust. Unlike most films there is nothing to protect you from this level of discomfort. Riggan Thomson (Michael Keaton) is in a dingy room, seated in a lotus position but suspended in the air about 3 feet off the floor. He questions himself about how he could have possibly ended up in this situation. A voice answers him and about a minute later he gets an incoming call on his laptop computer. The call is from his daughter and as the camera pans to the computer, the viewer realizes from all of the light bulbs around his mirror that this is a dressing room for an actor. He steps out of the lotus and walks to his dressing table to answer the call. I knew from the outset that I was going to like this film. Unless this was an actual superhero film, the scene demonstrates the stream of consciousness of this character. What he may be consciously aware of and what he is not consciously aware of. We get some insights into his conflicts and defenses. It is common to hear a discussion about alter ego or clash of egos as though these are all clear separate entities. I prefer this presentation to the actor looking at the camera and telling the audience what is happening. The plot develops fairly rapidly from there and the viewer pieces together the facts that Riggan was a previous star of three superhero movies. He is divorced and still in an emotional relationship with his ex-wife Sylvia. He is opening a play on Broadway and is under a lot of pressure financially and professionally to succeed. He is more clearly defined in the relationships with the rest of the cast, his ex-wife, his daughter, and a hostile critic who at one points assures him that her review is going to close his play after opening night. He and his daughter Sam (Emma Stone) have a relationship that is hostile at times. We learn that Sam has a substance use problem and has completed treatment when Riggan confronts her about smoking marijuana. She lashes out with a diatribe that suggests his struggle to remain relevant is meaningless and he should just accept that fact like the rest of humanity. Riggan has several additional confrontations with that dilemma over the course of the film with his fellow actor Mike Shiner (Ed Norton) and theatre critic Tabitha Dickson (Lindsay Duncan). The confrontations with Mike seem to highlight the fact that he is a rising star and Riggan is a has-been. In the case of Ms. Dickson she brings in the bias that Riggan is just a movie star and that is not the same level of art as a Broadway actor. The final confrontation with the critic leads to the emotional upheaval that results in the penultimate scene. Throughout the film, we hear the dialogue between Riggan and a grandiose and self-centered Birdman. At times we see the Birdman character in full costume. In scenes where Riggan is angry he uses telekinesis to throw common objects against the wall and in one scene essentially trashes a room. In another scene he flies effortlessly above the New York traffic for several miles until returning to the front of the theater. The camera stays on Riggan wherever he is in the scene and the presence and absence of the other actors depends on his trajectory. What can be made of all of these supernatural occurrences in a movie that is not about a superhero? I saw these events as narcissistic defenses against his growing vulnerability and an ultimate horror of aging - meaninglessness. What better way to fight back than to be able to crush your enemies or provide immediate proof of your potency? What better proof than to fly effortlessly above them? Who hasn't had those familiar fantasies of unlimited wealth, power, or ability? The ultimate way to deny dependence on the highly flawed opinions of others is to become an island unto yourself. There is nobody left to marginalize you if you are living at that level. As I was typing this, I also had the thought that blogging may be a lower level defense against this same existential crisis. Is blogging an attempt to type your way out of meaninglessness and anonymity? If it is - what are you prepared to do to appear to be unique? What does it mean when there are tens of millions of bloggers out there generating parallel streams of information and minimal productive dialogue? This kind of crisis can be explored at multiple levels. Some of the folks in my Facebook feed ask the question: "Does the film glamorize suicide?" I don't think so. Suicide is after all part of the final act of the play that Riggan is trying to present. There is enough ambiguity about the choice of the weapon and what actually happened to question the issue of suicide at all. It is very difficult to survive the suggested suicide attempt even if the weapon was shooting blanks. Most suicidal people pointing guns at themselves are highly ambivalent. In survivors the gun often "just went off" rather than being fired on a volitional basis. In the narrative with Riggan in the hospital, the description of what he is alleged to have done also seems unlikely when he peels off the bandages and inspects the damage in the mirror. Even considering that scene as a suicide attempt, the critical question becomes, is it the prelude to another suicide attempt or something else? The attitude of the film critic and the theatre goers seems to have turned around completely on the basis of the suicide attempt. They are praising the play and Riggan's business partner Jake (Zach Galifianakis) suggests that the play will be running a long time in multiple venues. He is suddenly and unexpectedly - a Broadway success. Riggan's last act seems to be the most confusing. He is in the hospital room where he is being cared for following the suicide attempt. After he takes off the bandages, the walks to the window and stands on the ledge. He jumps. Sam comes into the room and goes to the window. She naturally looks down and does not react, but then looks up into the sky and smiles. Riggan is clearly not dead at this point. His daughter is finally able to see that he is able to soar, in fact he always was able to - not as the result of conscious planned activity, but the combination of his collective unconscious and the less than ideal relationships he made in the Broadway debut. In doing this Riggan demonstrates that he can engage the universal struggle through life and come out the other side unscathed and even temporarily transcendent. In the scene where he says: "I can't do it anymore", I have lost count of the number of times I said the very same thing to myself contemplating some unsolvable crisis at work. I was ready to walk away and in one case I did walk away. In those situations where there is no clear path forward there is a lot to be said for throwing yourself into the breech and seeing what happens, hence the alternate title. It turns out that the illusion of certainty is not enough to live on - at least for some of us. That's my interpretation and I'm sticking to it. I did not read any detailed reviews before writing mine. I did not go back and try to read a copy of the script, so this in entirely from memory and therefore I may have missed a lot and hopefully not embellished much. The beauty of art is that many interpretations are possible and that the experience of the viewer is very important. I found myself closely identified with Riggan Thomson in this film because his struggles are my struggles and I am just as ignorant. I happened across some scathing comments on sites where I tried to stream the video. With a film of this nature, I do not find that surprising. In my experience there will be people who can identify with Riggan's struggles at every step of the way and many others who can not. There will be people who are very aware of their daydreams, fantasies and defenses and others who are not. A lot of people go through life experiencing it as a linear exercise in conscious decision making where all of life's major decisions are conscious choices and others do not. These are some of the dimensions that may make this an enjoyable film. What Can The APA Learn From UpToDate? By way of introduction UpToDate is a highly successful online internal medicine text. It has associated features such as handouts for patients on medications, procedures, and medical conditions. It also has an online drug interaction feature that allows a limited set of preferences on the part of the physician. CME credits are available for reading online. The text covers a broad range of diseases and conditions. I have asked them for more specific data on the extent of their coverage and total number of pages, but they refused to give it to me citing that it was proprietary information. I noticed that they currently say that they have 77,000 pages updated by 5100 physicians. I have been a subscriber to this service for a number of years and the subscription rate is currently about $500/year. To illustrate how important that number is I need to compare UpToDate to what it replaced. 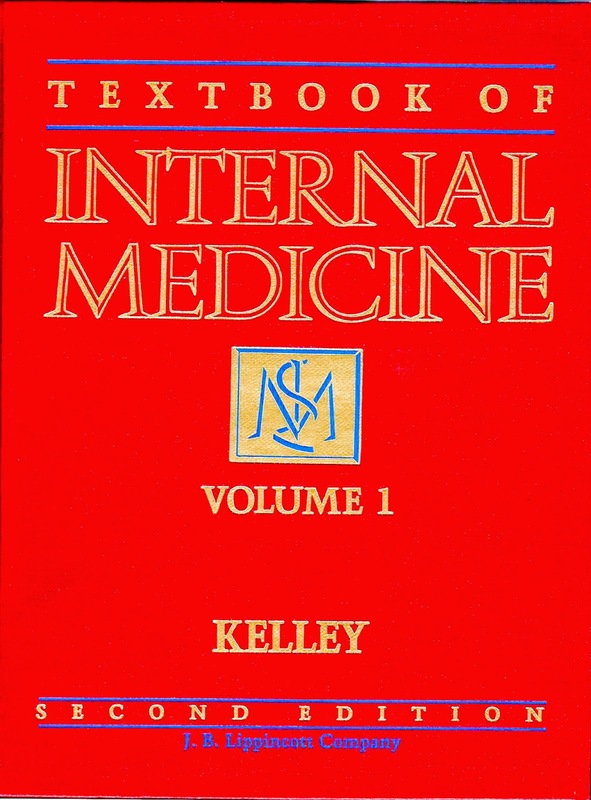 Ever since graduation from medical school I purchased a new internal medicine textbook about every 4 - 5 years. 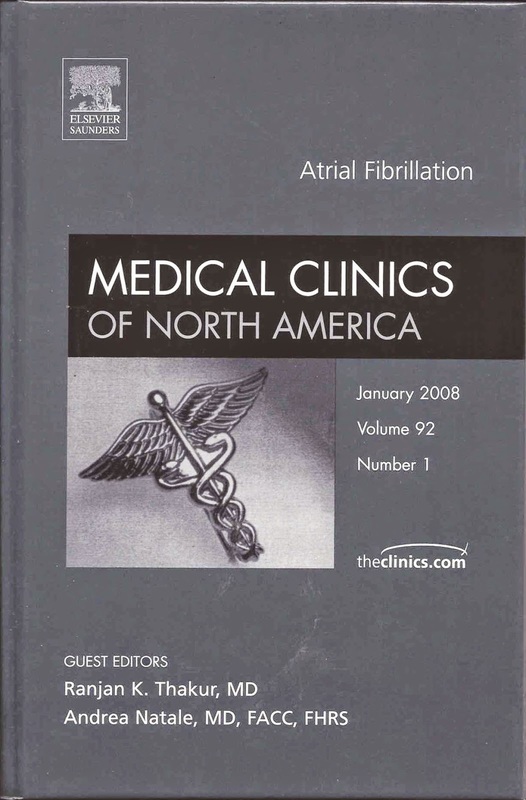 I was also a 20+ year subscriber the the Medical Clinics of North America. I considered it all a part of keeping up on general medicine while practicing psychiatry. The cost of a typical medicine text like the last one I purchased Textbook of Internal Medicine (William N. Kelley, MD, ed) was somewhere in the $200+ range. Searching Amazon it looks like my text is out of print by the two comprehensive texts are available for $224 (Harrison's) and $151 (Goldman-Cecil). Doing the math shows that for $200 you can get a serviceable text that might last you for 5 years (it goes without saying that you always have to do additional reading) and at the end of the day - you still have text in your hand and a valuable reference. That same 5 year period as a subscriber to UpToDate will provide you with online access of updated data and at the end of that time unless you renew - it is all gone. Granted it is handy to have this available online if you are working in a hospital setting on different units and the CME feature is very nice - but the cost is about $2500 or twelve and a half times as much as a text every 5 years. The premium cost in UpToDate relative to a medicine text probably has many things driving it. The advent of the hospitalist in combination with the electronic health record are probably two of the most significant factors. If you have internists working 10 hour days 7 days on and 7 days off across large hospitals suddenly there is not time to go to libraries and do research. All of the information needs to be available as they are essentially word processing documents in the EHR at computer terminals. In case you haven't tried it, it is also much easier to electronically search a textbook than to heft its considerable weight and keeping flipping flimsy pages back and forth from the index. Many large groups now provide UpToDate online to their hospitalists and medical specialists in order to keep them working right at those word processing terminals. These same hospitalists consulting on my inpatient psychiatric unit introduced me to UpToDate when it first came out. "We recommend that patients with obsessive-compulsive disorder (OCD) be treated with cognitive-behavioral therapy (CBT), a selective serotonin reuptake inhibitor (SSRI) medication, or both (Grade 1A)." "A Grade 1A recommendation is a strong recommendation, and applies to most patients in most circumstances without reservation. Clinicians should follow a strong recommendation unless a clear and compelling rationale for an alternative approach is present." This is the general outline of the psychiatric disorders section in UpToDate. From the sections I have read their literature review and section updates are all within the last 1-2 months and some of the sections are written by top experts in the field. The detail is well above what an internist or family physician would need but I would not say it is less than what most psychiatrists need. It gives practical advice on what is known about the treatment of psychiatric disorders and it is condensed down to about 4 - 12 bullet points at the end of each section. Solid recommendations are made on management where possible and the recommendation is also graded as to whether or not there is good research to back it up. What is the importance of these developments for psychiatrists, organized psychiatry, and medicine in general? I think there are a number of important points. First, psychiatry is represented in a text that is read by internists and family physicians to a greater extent and in more detail than ever in the past. This is good for several reasons. It provides some guidance to primary care physicians in considering the treatment of patients with complicated psychiatric problems at time when there may be fewer psychiatrists covering their patients. It provides them with technical details that are needed to provide care. It makes it easier for them to assume the care of patients who have be correctly diagnosed but can no longer be followed by a psychiatrist. Overall it is good for the idea that psychiatry is a mainstream speciality in the field of medicine. Second, it brings up the critical question of why the APA has a web page with the APA Practice Guidelines listed at all? Most are hopelessly out of date. They have little public visibility. There have been some opinions that the time for practice guidelines by professional organizations are a thing of the past. After all, managed care organizations and governments write the guidelines now don't they? A secondary question is what is the purpose of a professional organization? In my most read post on this blog, I suggest that it is to propose and disperse state-of-the-art treatments to its membership ("There is a responsibility to establish professional standards for patients referred to psychiatrists for the assessment and treatment...."). Certainly there was a recent opportunity. An expensive effort bringing together top experts in all fields from around the world was done to compile the DSM-5. The public was clearly confused about this project when the press and several critics equated the DSM-5 to treatment rather than diagnosis and misread the DSM-5 as being something more than it really is - a guidebook to the International Classification of Diseases. I have seen experts from that collaboration speak at two conferences now and they happen to also be experts in the treatments of these conditions. Would it have been wise to update the treatment guidelines in the manner of UpToDate rather than leaving the effort at the level of the DSM-5? I think that it probably would have. I brought this issue up recently and was told by people at decision making levels in the APA that they are rethinking the Practice Guidelines from a cost effectiveness standpoint. My thinking on this is very clear. If the APA does not want to represent the membership as a union dedicated to advancing the rights and interests of the members from that perspective then it really needs to present itself as a professional organization. APA members certainly don't enjoy the benefits typically seen when businesses or unions lobby Congress. If anything psychiatry and medicine has been in an unchecked downward spiral of overregulation and exploitation from businesses for about 30 years now. The argument is typically made that we are a professional organization and focus on professional education and accountability. Practice guidelines demonstrate that you have the expertise and wisdom to make that claim. The APA can no longer say that. There are more succinct treatment recommendations written by experts and more frequently updated in an online text that targets nonpsychiatrists. I will be the first to suggest that this is bad for the profession for a number of reasons and further evidence that the APA is doing very little to advance the profession and the plight of its members. The current guidelines should be removed (at least the dated ones) and the organization needs to think about a streamlined process to construct new ones or get out of the practice guideline field. An article was published in the JAMA recently where three ethicists argue for the return of asylum care. It has become an expected flash point for the antipsychiatry movement as well as some psychiatrists who still think that the word asylum has some meaning. I thought I would add a more realistic opinion and solution. I refer readers to the original article or many that I have written here about the reduction in bed capacity in long term psychiatric care. The reductions are indisputable and well documented. I am more interested in elucidating the mechanisms behind this reduction and the lack of effective care in the remaining community hospital beds. The authors allude to the underlying dynamics as captured in the sentence "For the past 60 years or more, social, political, and economic forces coalesced to move severely mentally ill patients out of mental hospitals." They discuss the well known euphemism for incarcerating psychiatric patients or "transinstitutionalization" and rotating the chronically mentally ill in and out of emergency departments. The authors even go so far as pointing out the bloated estimated inpatient costs for care in Michigan at $260,000/year/patient and Washington, DC at $328,000/year/patient. For comparison they include a state of the art facility the Worcester Recovery Center and Hospital that has 320 beds at a cost of $60 million per year or or $187,500/bed/year. It is difficult to figure out why what may arguably be the best public hospital in the United States has the lowest cost of care for what may be more comprehensive services. But that is part of the problem. Most of these institutions are managed by human services agencies through the states and the real fiscal status is always difficult to ascertain. State and business accounting frequently provides calculations for bed or per patient rates that seem to include unrealistic estimates of overhead costs (often for subpar facilities). The administration of many of these facilities also seems to depend on restricting psychiatric care at several levels. In many cases the managed care concept of "medication management" or a "med check" mentality is applied, often with the overall plan of replacing psychiatrists with "prescribers". Any notion of quality is trumped by a managed care notion of "cost-effectiveness" that typically includes removing psychiatrists from management positions and delegating policy and management at the institutional level to people with no training in psychiatry. The authors accurately describe the problems of severe mental illnesses. People have very complex neuropsychiatric disorders and will either not be getting well soon or will never recover enough functioning to do well in any community setting. They were some of the first victims of "medical necessity" criteria. I was a Peer Review Organization (PRO) reviewer for Medicare hospitalizations in the states of Minnesota and Wisconsin in the 1980s and 1990s. For at least part of that time I was sent boxes of medical records from state hospitals for review. If I looked the the records and decided the patient should continue to be hospitalized, I would get a call from the Medical Director of the PRO suggesting that I should consider the medical necessity criteria. In the case of long term care, that meant that the patient was "stable" meaning that I would not expect them to change significantly with additional treatment. If I could say that, the hospital was notified that the patient did not meet criteria for continued long term hospitalization and they needed to be discharged. In fact, it was very likely that although they were not changing at a rapid enough pace, they would still present formidable problems for community placement. It may be impossible to discharge them. In many cases discharge resulted in almost immediate readmission to an acute care hospital and the cycle emergency department to brief hospital admission to homelessness to jail or readmission occurred. At least until the person was sent back to the state hospital. In her opinion piece, Dr. Montross suggests that these patients have been abandoned in the name of autonomy or treating people in the so-called "least restrictive alternative." That seems at odds with frequent sustained incarcerations for minor and in some cases trivial offenses. What is really going on here and why do people continue to ignore it? I have analyzed the problem many times and it is apparently so institutionalized at this point that nobody sees it as a problem anymore. The problem that I continue to point it out is managed care and all of the rationing mechanisms that they employ. The very first one in the paragraph above is the so-called medical necessity criteria. Any managed care company physician reviewer can deny care based on their own proprietary guidelines or a purely arbitrary and subjective interpretations of those guidelines. Managed care companies can harass physicians with mountains of unnecessary paperwork and deny payment or demand payment back based on more subjective interpretations. Even more problematic, states have incorporated some of these same management techniques and almost uniformly have completely abandoned quality in favor of "cost-effective" care which is quite frankly - care on the cheap. The end result of all of this cost cutting, rationing, and insurance company profiteering at the expense of patients with mental illness or substance use problems is extremely poor quality care. One of the authors suggests longer inpatient treatment may be the solution. Right now practically every psychiatric hospital does their best to get patients discharged in 5 days or less. Outpatient psychiatrists see patients who have not been stabilized after a 5 day admission. That is business as usual in acute care psychiatric hospitals. If that discharged patient makes it to an out patient clinic, they are seen for 10 - 15 minutes in a medication management visit (another fabrication of the managed care industry and the US government) and if they are lucky they discuss the medication and whether it is effective for symptoms or causing side effects. The problem is that there are important areas in the patients life - like their cognition and social behavior, that are never discussed or evaluated in any productive way. Very few patients with severe mental disorders receive any kind of psychotherapy despite the evidence it is useful to them. Putting all of these problems back into the asylum will have predictable results. The medication management mentality is basically now inside the walls of an institution. There is no enlightened, research driven treatment that addresses all of the problems that the person has. The asylum is typically administered by a bureaucrat, bound by the same arbitrary budgeting that comes down from the Governor's office. Across the board spending cuts by a certain percentage and no adjustments when the cash flow is positive. Money "saved" on asylum care transferred to the state's general fund and used to build roads or whatever was stated in campaign promises. Suddenly the asylum is an overcrowded bottleneck due to cost shifting by every county in the state who does not want provide services for serious mental illnesses. The alternative? How about doing things the right way for once. We seem to have people who recognize that mental illnesses are not going away, that the current care is atrocious and inhumane, and that it is time to do something about it. Estimates for the number of people in each state with severe mental illnesses are out there. Consistent reasonable funding is necessary. That includes the state, but also it is time to not allow managed care companies to dodge these costs and transfer them to the tax payers. Finally, it it time to eliminate stakeholder meetings and develop systems of care for the people who it matters the most to - patients, families, psychiatrists, and the other mental health and medical professionals involved in providing this level of care. Without those conversations, an asylum is just a poorly managed building. 1: Sisti DA, Segal AG, Emanuel EJ. 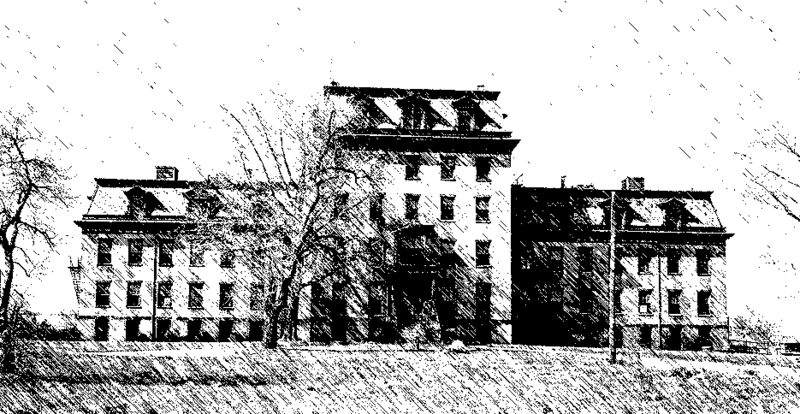 Improving long-term psychiatric care: bringback the asylum. JAMA. 2015 Jan 20;313(3):243-4. doi: 10.1001/jama.2014.16088. PubMed PMID: 25602990. 2: Christine Montross. The Modern Asylum. New York Times February 18, 2015. "For much of the 20th Century, theories of addictive behavior and motivation were polarized between two models. The first model viewed addiction as a moral failure for which addicts are rightly held responsible and judged accordingly. The second model, in contrast, viewed addiction as a specific brain disease caused by neurobiological adaptations occurring in response to chronic drug or alcohol use, and over which addicts have no choice or control....."
The first few lines captures the main problem with debates about any topic but it is particularly pernicious when it comes to addiction and neuroscience. It leads to a number of false observations that seem to be cropping up in the popular press at an increased frequency. The observation that most addictions spontaneously remit is taken as evidence that they do not require treatment or that neurobiological factors do not need to be considered. There is the idea that you can be a "heavy drinker" without being an alcoholic suggesting that "heavy drinking" is protective against the factors leading excessive mortality and morbidity in alcoholism. Those same arguments lead back to the idea that addiction is either a choice or a bad habit. Both are gross oversimplifications of how complex decision-making is affected in addictions. One of the main diagnostic systems for addiction from the American Society of Addiction Medicine (ASAM) describes addiction as: "Addiction is a primary, chronic disease of brain reward, motivation, memory and related circuitry". It does not however suggest that addicts "have no choice or control". In fact, much treatment of addiction depends on a 12-step recovery model that is designed to help learn new controls, improve social affiliation, and re-engineer living environments to remove triggers for relapse. The learning, affiliation, cravings and relapse triggers all have neurobiological substrates. Against that backdrop there are 19 papers offered and Satel and Lilienfeld's is one of them. I happen to be fortunate enough to work at a residential center that specializes in treating addictions. In addition to the clinical work I present a number of lectures to graduate students, physicians, and residents. The residents are in primary care and psychiatry. 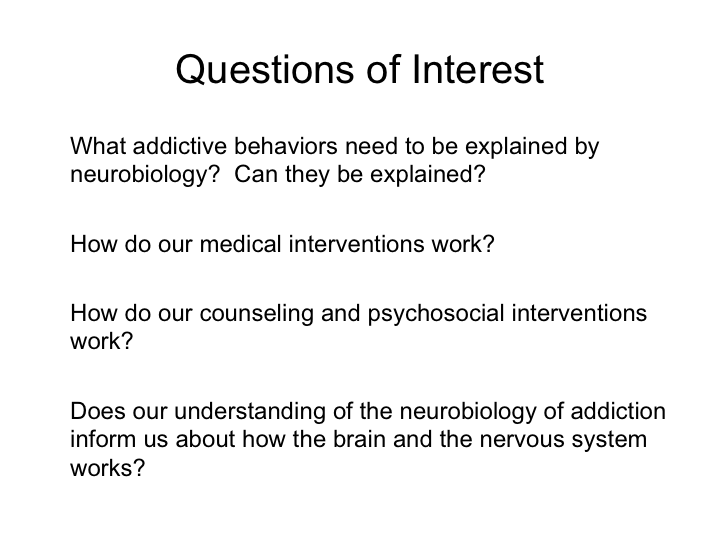 The two slides that follow are right out of my PowerPoint on the neurobiology of addiction. 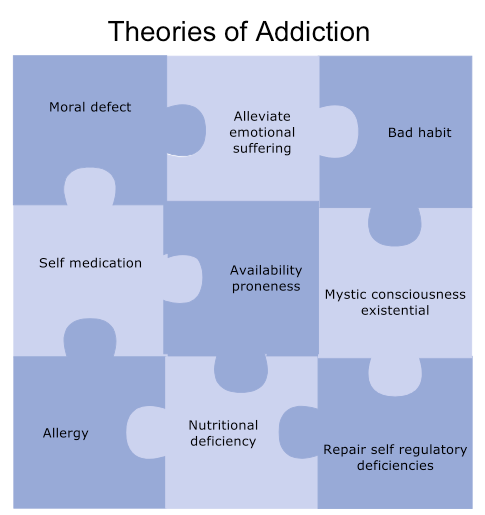 The Theories of Addiction slide is intended as a rapid survey of addiction theories. I put it out there as a warm up and free associate to the theories on the slide. As an an example, I will look at the nutritional deficiency theory of alcohol or look at alcohol being considered a medicine by itself and how that correlates with per capita alcohol consumption in the US. I can build on that point by looking at the cultural factors that affect per capita alcohol consumption int he US and the UK. I might ask groups of physicians if Self Medication is a legitimate theory of addiction. Practically all physicians have heard: "Listen doc, if you can't do something about my (pain, depression, anxiety, insomnia) - I know what I can do to make it go away for a few hours." Everybody in the room also knows that in the long run, none of those symptoms/syndromes/disorders can be treated and in fact many become considerably worse as a result of the drug or alcohol use. Even the example of availability proneness that I typically use only partially accounts for addiction. Any approach to neurobiology has to account for pathways to recovery as well as pathways to addiction. In treatment centers most of those pathways are based on learning interventions. I digress to talk about the how learning occurs both in the addiction process and in the recovery process. I start out with Kandel's example from his classic New England Journal of Medicine article on plasticity. His original example talks about two people in a room during a psychotherapy session, and the brain changes that occur in both as a result of that session. Both people leave the room and their brains have been changed by the discussion. Experience dependent changes in the brain. That brief introduction brings me to the four considerations of the neurobiology lecture. They are listed in the second slide below. I think that these are all fairly basic starting points for a lectures on neurobiology and proceed to talk about a number of systems and structures that are thought to be important from a neurobiological standpoint. I bring in the concept that nobody knows how it all works together by a brief discussion of Chalmers hard problem or the fact that we don't know how anyone's unique conscious state comes about and what that implies. I am evolving to a new lecture that looks at complex decision making and its roots in the neuroanatomical structures that I discuss in this lecture. Studying this field is what I consider to be fun. It brings together a number of concepts from my previous scientific studies. I would probably be focused on this if I was practicing clinical psychiatry or retired. I will be the first to admit that I am not a trained neuroscientist, but I have been trained in science and worked in scientific research. That brings me to Satel and Lilienfeld's paper. I don't know either author. If you read the paper it is definitely well written and it has 121 references. There is a bolded statement before the text begins saying that this paper is excerpted from the book Brainwashed: The Seductive Appeal of Mindless Neuroscience. As far as I know that is the book that would apparently straighten out my views about neuroscience. The author's begin with: "The brain-disease model implies erroneously that the brain is necessarily the most important and useful level of analysis for understanding and treating addiction." and build rapidly to a second: "In short, the brain-disease model obscures the dimension of choice in addiction, the capacity to respond to incentives, and also the essential fact people use drugs for reasons (as consistent with a self-medication hypothesis)." Working at an addiction treatment center and talking with thousands of people in my career with severe addictions leads me to have an explosion of associations whenever I see broad generalizations about the problem. I don't know that the concept of disease means that an affected organ system is necessarily "the most important and useful level of analysis." There seem to me to be many diseases where that is not true. On the issue of "reasons to take drugs" it is seldom as rational as the author's suggest. A classic example is one that I frequently use when lecturing about the current opioid epidemic. A significant portion of the population is prone to get a hypomanic euphorigenic effect from taking opioids. For nonpsychiatrists, that mean the person becomes extremely euphoric, energetic, productive, and socially outgoing. On the initial night or two, they may engage in work or creative activities at a rate that surprises them. Many will say: "I thought I had become the person I always wanted to be." Carefully interviewing that person several months later will get the description that they developed a tolerance to that effect. Now they were taking the opioid "just to stay well" or prevent withdrawal symptoms. Koob has described this cycle as "a chronic relapsing syndrome that moves from an impulse control disorder involving positive reinforcement to a compulsive disorder involving negative reinforcement." Consistent with this definition is that the drug has both positive (euphoria) and negative (prevents withdrawal) reinforcing effects. The reason to take the drug is an addiction or the specific match of drug effects on a specific nervous system. Even in a case when addictive drugs are taken for other reasons (there is a long list) it often is due to the fact that the drug is perceived as having magical qualities or as a rationalization for continuing the addiction. I could make similar arguments for all of the main points in this paper that I have laid out in the following table. The authors provide ample details examples to support their contentions. Part of the problem is that the concept of disease is complex. When you try to dissect it the problems become apparent. The other problem is that if this is a disease, it is a disease of complex decision making and very few people focus on that. What after all is considered a disease? Any reader can come up with conditions that they consider diseases for many of the ten points above. That is easiest for the points involving the clearest comparisons with disease (1, 2, 6, 10). In other cases (4), their point seems to be somewhat arbitrary. With any chronic illnesses it is usually possible to function with limited incapacity due to the illness until the late stages. In some cases the critique has more to do with the unique capacity of the organ than anything else. For example in point (3), emergent properties that are less obvious can be considered a property an any electrical tissue. Cardiac tissue can produce electrical patterns of decreasing complexity as a heart ages or is affected by disease. The brain can produce a very similar pattern (see Supplementary 1). The only difference is that heart tissue is unable to produce a conscious state. Two of the points (5, 9) minimize the role of a systems involved in complex decision-making. This is no trivial matter because it is associated with addictive behaviors that lead most people to classify alcohol and drug use disorders as diseases. Common examples include people who are unable to stop using drugs and alcohol despite life threatening illnesses, repeated pleas from family members, or repeated problems with relationships, employment or the law. Deaths due to addiction are common and they impact on a large population. You are much more likely to see a condition as a disease if you know it has killed somebody. Point (7) is a curious argument. In the past several years, I have attended seminars showing for example that in some trials of buprenorphine maintenance for opioid use disorders that the addition of counseling adds nothing to the outcome beyond the medication. I don't personally believe that, but I am used to seeing people with severe addiction who cannot stop until they are taken out of their using environment. In every residential treatment center that I am aware of, the main focus is on "personal agency" whether that is 12-step recovery (Alcoholics Anonymous, Narcotics Anonymous) or other methods for psychological change. As part of that process there is often a focus on neurobiology not as an excuse but as an explanation for how people can become somebody that they never thought they could become and how that process can be reversed. The other reason for a focus on neurobiology is medication assisted treatment and a discussion of how those medications might work as part of both informed consent and interest on the part of the patients. I wonder if the best characterization of what is going on here has more to do with philosophy than neuroscience. As I previously pointed out in a critique of a philosopher's attack on psychiatry - a straw man approach was used. He suggested that something was true about the field and then proceeded with his attack as if it was true. When confronted with that single fact and asked about any evidence to support the contention - the people supporting that contention drew an apparent blank. To this day as far as I know there is no rational way to argue that the APA has an implicit position in the DSM-5 that teaches people how to live their lives. Even as I write it on the page it is absurd and yet that was the form of the argument. The current paper is much more sophisticated than that. It points out the limitations of the disease concept and how that can be used rhetorically but then proceeds to eschew what they refer to as a "neurocentric view" of addiction. I don't think that argument carries the day largely because there is very little evidence that the people who know neuroscience have the adverse effects that the authors suggest. There is plenty of evidence that the neuroscientist-clinicians are focused on multiple levels of care. I have a lot more to say about what is a disease and diseases of complex decision-making but I am going to stop here. Look for those topics to be addressed in individual posts in the future. In the meantime, read about the neuroscience of addiction. The field has added more to brain neuroscience than just about any other discipline in the past three decades. I think an additional explanation of my intent in the reply is necessary. I use the term "political" a lot when referring to editorials, rhetoric, and other polemics. People who should know better seem to respond to a lot of these articles as though they are either the "truth" or the "facts" that happen to support their viewpoint. I like my science very dry. I ascribe to Pigliucci's observation that science is a process and if there is a truth it only occurs at the end of a very long process or a series of approximations. Seeing it any other way shuts down that process and we are left with something that is ideologically based and no longer science. I attached these graphics to illustrate that electrically active tissue can have emergent properties that are really unknown by either looking at the tissue or doing other kinds of biological analyses. That is true for both the brain and the heart. I don't have the heart graphs but could probably find them. They are identical. 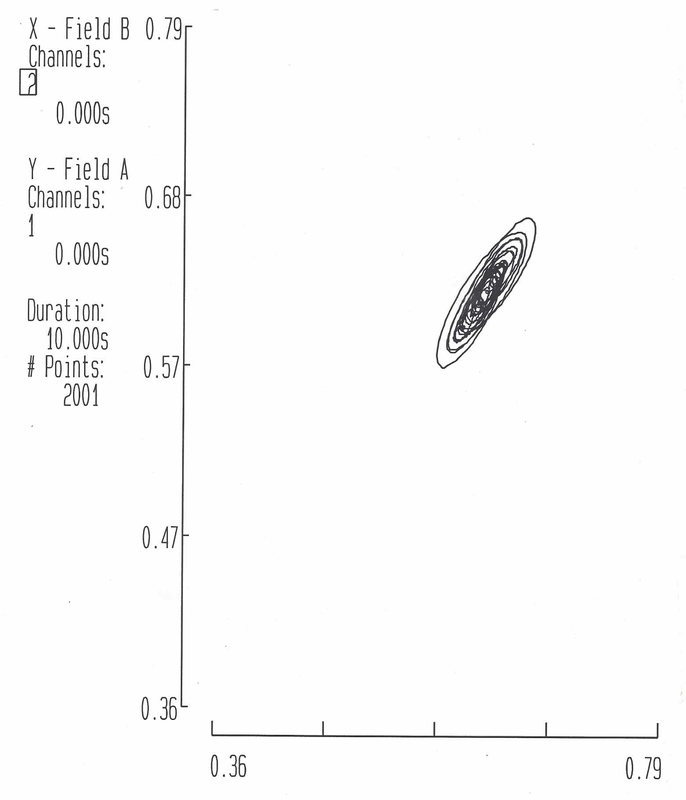 I do have the graphs of brain activity from a patient with Alzheimer's Disease and a normal control patient. 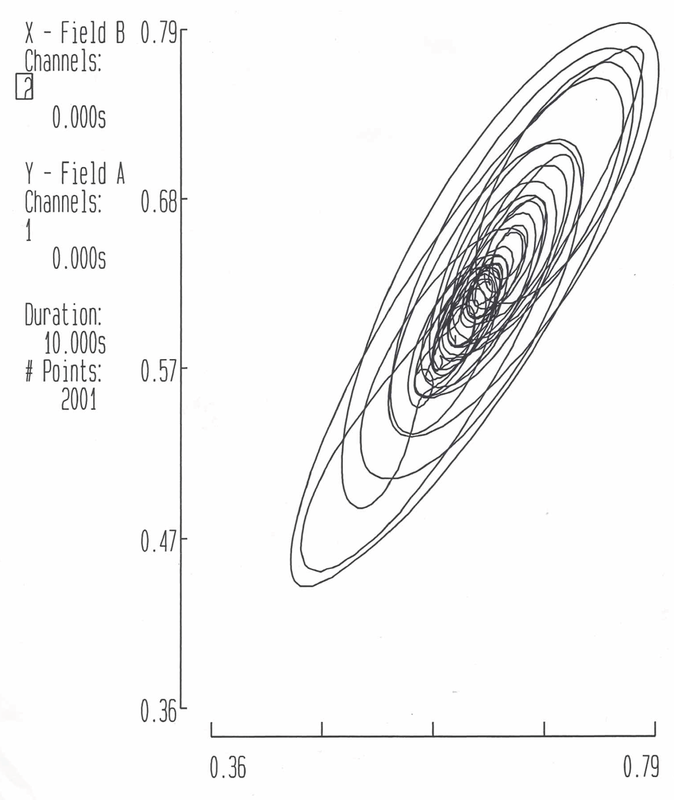 Recordings are from a single parietal electrode in the delta frequency and show the degree of variability over the same time interval. I noticed a new banner ad for Binge Eating Disorder in my Yahoo pages last night for the first time. It is one of those sophisticated ads that becomes a video clip when you click on it. The main message of the video clip is that "Binge Eating Disorder is a real medical disorder" and it provides a link to the web site bingeeatingdisorder.com. If you go to that site and click on the health care professionals link, you are taken to what is essentially a massive infographic on binge eating disorder with descriptions of what is known about the epidemiology and theory of B.E.D. There is no mention of treatment or the specific FDA approved medication from this pharmaceutical company that has been approved for B.E.D. My speculation is that is coming once the advertisers analyze their web traffic and see how well the ad campaign is accepted. Specifically will there be the usual outcry that pharmaceutical companies are making up diagnoses in order to sell drugs and of course the evil psychiatrists that are involved. If a lot of that blowback occurs it would be easy to cancel the campaign, take down the web site and either come up with another campaign or go with more traditional advertising to a much less politically adept audience, namely physicians through medical journals. I admit, the brain graphic with a slice of pizza replacing the parietal lobe is eye catching. This ad allows me to make a couple of points. The first is the reason that we have epidemics of addictive drugs. The general process is an increase in availability and exposing more people to the drug. We do not know the genotypes at risk but in general a significant part of the population will have euphorigenic responses to addictive drugs. Wider availability generally equates to larger numbers of users and people at risk for addiction. An example I like to use is growing up in northern Wisconsin. Back in the 1970s, even though it was the hippie generation, the main exposure in remote areas was alcohol and marijuana. Flash forward 40 years and now there is widespread availability of practically all drugs of abuse in rural areas, including intravenous heroin. Anytime an addictive drug comes into the marketplace there is a risk that level of availability will lead to more addiction and complications of addiction. In the case of the first amphetamine epidemic, it was marketing and general use for a number of disorders that did not respond to the medication and marketing products like benzedrine inhalers that could be easily abused. In the end there were thousands of amphetamine containing products until all of them were moved to Schedule II and under much tighter regulation. The second point is that the FDA clearly does an inadequate job of preventing addiction and complications of addiction. There should be no doubt that the main objective of the FDA is to get pharmaceuticals out into the marketplace as soon as possible. Although politicians like to grandstand on the idea that the FDA prevents the release of life-saving drugs or builds regulatory hurdles that lead to unnecessary expense there appears to be less and less evidence that is true. Those same politicians seem to favor quicker release and less regulation. It is fairly clear that the FDA has minimal scientific requirements. The release of multiple new opioids during the time of an opioid epidemic of overdose deaths and against the recommendations of the Scientific Committee would be a case in point. 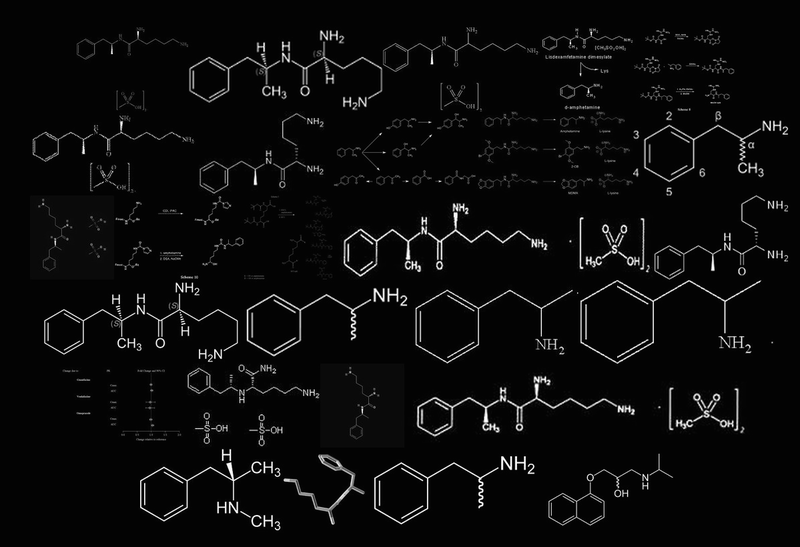 A further case in point is that none of these new opioid drugs is a unique compound. They are all basically mixes and matches of old compounds in patentable dose sizes and various possibly tamper proof formulations. Even as I type this note I am being informed that the FDA has accepted an application for reviewing a new drug that is a combination of extended release oxycodone and naltrexone. The FDA clearly has a lax approach to potentially addictive compounds and they cannot depend on post marketing surveillance or their so-called REMS (Risk Evaluation and Mitigation Strategies). A reasonable approach would be to use a gatekeeper strategy and monitor those physicians for complications from prescribing controlled substances. Since agencies and regulators at all levels seem to believe that they can teach all physicians to prescribe controlled substances with an equal low level of skill, the time of the gatekeeper option is in the past. The main FDA approach is post marketing surveillance or basically waiting to see what happens. In the case of addictive drugs this is even a worse idea than with other risky medications. The post marketing surveillance depends on reports from physicians, patients or other health care professionals. Reporting a complication from a controlled substance is much less likely to happen for a number of reasons. Physicians working in the addiction field may be working in settings where there is a higher standard for confidentiality than typical medical records. Any time there is the potential interpretation of diversion or inappropriate prescribing reporting is less likely. For these reasons post marketing surveillance is not a good approach to monitor a new pharmaceutical to see if it is being overprescribed and abused. What is a good approach? For decades there have been large databases that compile the prescriptions of all physician in the US. This data was typically sold to pharmaceutical companies to gauge the success of their marketing efforts by the number of prescriptions written. It is time that the FDA ran a database and looked at real numbers and trends in prescribing. They would have first hand knowledge of how many new Vyvanse prescriptions were written for binge-eating disorders and where any potential prescription mills were located. They could intervene before there was a years long or decades long problem. I conclude the Binge-Eating Ad is good advertising. Someone once said that an addictive drug sells itself. I think that is true in terms of the place that stimulants have in the collective consciousness of Americans. They are seen as magical performance enhancing drugs that are good for whatever ails you. I can see the pressure building in primary care clinics for Vyvanse prescriptions for Binge-Eating Disorder and patients expressing their severe disappointment if they hear their clinic will not prescribe it. They will not understand that good advertising is not necessarily good medicine. Creating demand for a medication with definite addictive potential seldom is. I have listened to the past 48 hours of constant criticism and speculation about the implications of what is generally described as a "lie". News anchor Brian Williams made a statement about remembering that he was shot at in a helicopter in Iraq and forced down after it was hit by a rocket powered grenade. That statement occurred on an interview with David Letterman and several other venues over the past 12 years. The actual section of the video is from the 2:50-7:20 of the 18:14 clip. In the interview he was entertaining, self effacing and talks about himself as being an "accidental tourist". He rejects Dave's suggestion that he be looked at in a different light because of this incident and praises the volunteer troops and emphasizes that he hopes the troops get what they need when they return home. The statement and previous clips (3) have been scrutinized by various sources. Today there are also a number of places looking closely at other statements for similar errors or possible "lies". Conspiracy theorists always want to prove that there is a pattern. The formal press and the blogosphere generally wants to see successful people fail in some way. There are many stories suggesting that this has implications for Williams credibility as a journalist. Notice how I slipped the word "error" in there. One of the preconditions for classifying a statement as a "lie" is that it is a conscious effort to mislead. Mistakes are not technically lies although I have been in settings in medical training where trainees were punished for mistakes and treated as if those mistakes were lies or at least the product of a significant character flaw. A little context is always relevant. Williams typically reads the news every night for the past 11 years. He has read more information during those broadcasts than most people will every speak to their colleagues and coworkers in a lifetime. All of that information is probably vetted by another editor and the person entering the text. He has presented that information in a way that has led him to have the reputation as being a very reliable source of news. Secondly, he is under a great amount of scrutiny, much more scrutiny than an average person would expect because he is constantly recorded and easily recognized as a celebrity. Finally, what can he be expected to gain from intentionally telling a misleading story. What is his possible motivation? He clearly dismissed Letterman's attempt to make it a big deal and immediately made it a story about the volunteer forces and returning veterans. All of these factors seem to be ignored in the typical analysis of the statement and his apology. Mistakes like this are commonplace. In the past month, I have had two very bright young colleagues recall my unusual eating habits from dinners that recently occurred. One of them recalled me eating a large piece of prime rib, the other frog legs. I have not eaten beef in 30 years and have never eaten an amphibian. In those events my colleagues did not recall a feature of the event and there was a misattribution based on that lack of recall. In many situations, my usually excellent memory does not match up with the recall of others from the same situation. In 1975 (or so) I was in the Hotel Jacaranda in Nairobi, Kenya with a few of my Peace Corps friends. We were all seated around a large rectangular table getting ready to order dinner. I was particularly jumpy that night and when a waiter bumped into my elbow, I reflexively dumped a cup of cocoa on a friend sitting immediately to my right. When I say dumped, I mean about 16 ounces of warm liquid poured right on top of his head and over his glasses. I was very embarrassed at the time, but the incident was apparently forgotten by the other 5 friends sitting at that table. I tried to revisit that event with my friend a few years ago and according to him - it never happened. Whose recollection of the incident is likely correct, a person who has an associated memory of being embarrassed about it or the person who would just as soon forget about it? None of my anecdotes matches one that is probably self aggrandizing to some extent but their are similiar examples in the literature. Eye witness testimony comes to mind. You are a star witness in the case and the fate of the defendant hinges on your testimony. Psychologist Daniel Schacter points out in his book (1) that more than 75,000 criminal trials are decided each year on the basis of eyewitness testimony. A recent analysis comparing eyewitness testimony to DNA evidence suggested that eyewitness testimony was mistaken in 90% of cases. A more recent review (2) suggests that the number may be closer to one in three. I have testified myself in courtroom situations where I was told by attorneys that I would not have to speculate on a specific question. I was asked that question anyway, but with enough experience I knew the correct response was to say that I could not answer the question. I have always wondered about what happens when people are witnesses in important cases and they have the expectation that they need to come up with an answer to every question whether they have an answer or not. I am sure that I have seen this happen in real courtroom testimony. That stress in combination with imperfect human memory has the potential to create a new story or at the minimum information that creates more noise than signal. The second aspect of the Williams scenario involves the binding of certain events in the correct order across a number of situations. Watching the NYTimes montage in reference 3 illustrates what I am talking about. Earlier footage clearly illustrates that he was on the ground with helicopters that had taken small arms fire when he landed in a helicopter that was probably doing what he described in the Letterman clip. Is it possible that this was binding failure? Schacter's definition of which would be "the gluing of the various components of an experience into a whole. When individual parts of an experience are retained but memory binding fails, the stage is set for all kinds of source misattributions....". It is easier to recall actions and scenes presented together but significantly more difficult to recall which action occurs in which scene (4). That experimental finding is interpreted to mean that information about scenes and information about actions are stored in different parts of the visual memory system (4). Further binding is adversely affected by age (5) and other sources of interference (6) with both the features of a scene and the bindings. Psychiatrists who keep detailed notes on their patient encounters will easily observe these binding failures and different histories being given at different points in time. It is also likely that the longer you live, the more you will encounter this phenomenon in your own life. People lie and people forget - so what? In the final analysis, very few observers have access to all of the information necessary to determine what is a lie and what is not a lie. By definition the only discriminating factor is a conscious awareness on the part of the liar. I have no access to information more than anyone else and no conflict of interest when it comes to Mr. Williams or NBC. The current situation requires some reflection on why it has the appearance of being so important. Is it possible that this is a case of faulty recall and misattribution? I think it is and most of the analyses to the contrary are not based on how human memory works. There are a number of questions that can be asked about these analyses. Why is there an opinion based on very scant information? Is it possible that emotional bias is involved in the complex decision-making of the author? Is the author denying the fact that these kinds of experiences have happened to them? Or is jumping to conclusions an aspect of the author's character that they would just as soon not look at? Is it really that surprising that thousands of journalists and bloggers want to add their own sensational spin to this story? Those may be much more relevant questions than the one being asked today. 1: Daniel L. Schacter. The Seven Sins of Memory. Houghton Mifflin Company; Boston, 2001, 272 pp. 3: Jonathan Mahler, Ravi Somayia, Emily Steele. 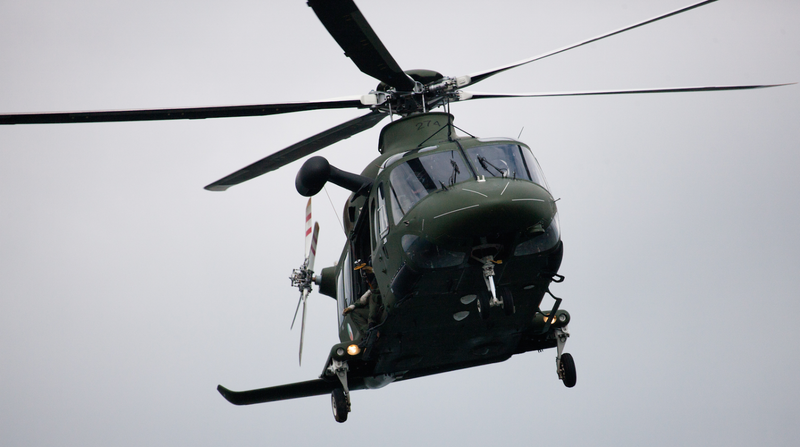 With an Apology, Brian Williams Digs Himself Deeper in Copter Tale. New York Times February 5, 2015. 4: Urgolites ZJ, Wood JN. Binding actions and scenes in visual long-term memory. Psychon Bull Rev. 2013 Dec;20(6):1246-52. doi: 10.3758/s13423-013-0440-1. PubMed PMID: 23653419. 5: Pertzov Y, Heider M, Liang Y, Husain M. Effects of healthy ageing on precision and binding of object location in visual short term memory. Psychol Aging. 2014 Dec 22. [Epub ahead of print] PubMed PMID: 25528066. 6: Ueno T, Allen RJ, Baddeley AD, Hitch GJ, Saito S. Disruption of visual feature binding in working memory. Mem Cognit 2011 Jan;39(1):12-23. doi: 10.3758/s13421-010-0013-8. PubMed PMID: 21264628. It turns out that I was able to think of a better anecdote after I penned the above post. On Tuesday September 11, 2001 I was doing what I did every morning as an inpatient psychiatrist for 23 years. I was sitting in a team meeting with all of the representative disciplines including social work, occupational therapy and nursing. At about 8:15 a nurse came in to give us a report and she happened to mention: "We just heard that a plane hit one of the Twin Towers in New York City. It's on the news right now." When she said that my recollection was that I said: "If I was there right now I would be trying to get as far away as possible. That was a terrorist attack and there may have been something else on that plane." The rest is history, but for the purpose of this post did I really make that statement? I had just tried to run an early Internet campaign for US Senate and one of my overriding concerns was terrorism. My campaign could be best described as an abysmal failure. I seemed to be one of the few people in the state interested in terrorism. Almost everyone else had been concerned with spending the imaginary federal surplus, something I considered to be the product of capital gains taxes on the Internet stock bubble. For that matter, do I really remember all of the people in the room at the time? I am pretty sure I do, but it would not surprise me at all if I struck up a conversation with somebody who I thought was there only to learn that they were not. Nobody who I thought was in the room ever approached me after the incident and asked me about my statement. I took that as pretty good evidence that I should keep my mouth shut. I also remembered something I read about Harry Stack Sullivan. He was a psychiatrist who specialized in the interpersonal psychotherapy of people with schizophrenia. He had a number of therapy experiences that he wrote about that were very striking and unique. In his writing at one point he said that he realized that he just needed to stop writing and talking about those experiences because he could not say for sure what had actually happened versus what was embellished. I always remembered that cautionary note as well as the slang term "power story" from my youth in the North. A power story was assumed to be an embellished story to make one look good. A typical response might be (in a mildly sarcastic tone): "OK Paul Bunyan - where is Babe the Blue Ox?" It is probably not a good thing to be remembered as the psychiatrist who tells power stories unless you are retired and sitting in a bar in northern Wisconsin.